X-Large - $66.99 Only 2 left! You should've been a prince. You've got the looks, the charm and style. The only thing you're missing is the royal bloodline. (You'll just have to blame your parents on that one). We can definitely see the appeal in being a member of the royal class. You would live in a beautiful castle and you wouldn't have to scrounge for food with the other peasants in the cobbled streets.Yup, that sounds pretty tempting to us! This easy-to-wear tunic costume will be the perfect way to coordinate your look with a special princess, or to make sure that you're going to be meeting one out on the dance floor. 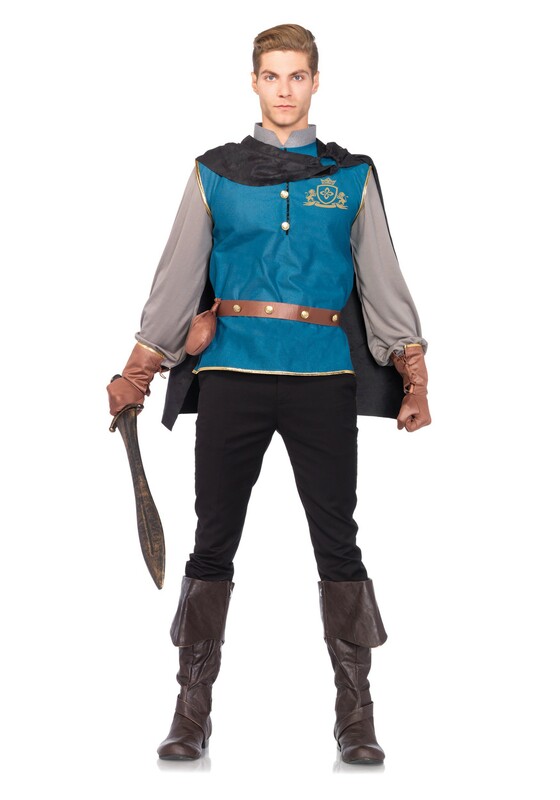 With a dashing cape and faux leather gloves and a belt, you'll have all of the details of a storybook character come to life. Let's just make sure that this story is a great one with a lovely ending!